Since its inception in 1961, Dame Fanny Waterman has very much been the Leeds International Piano Competition, founding it, acting as artistic director and CEO. That was until she retired after the festival in 2015. The joint artistic directors of the festival are now Paul Lewis and Adam Gatehouse and at an event at the Wigmore Hall on Tuesday 18 October 2016, the two shared their artistic vision for the festival. And we were also treated to some music as the 2015 festival winner, Anna Tsybuleva played some Scarlatti and some Saint-Saens. Dame Fanny was there too, now 96 and the recently honoured at the Woman of the Year Awards, present to see the future of the festival handed on. Paul Lewis and Adam Gatehouse explained how they wanted to build on Dame Fanny's legacy and develop the competition. 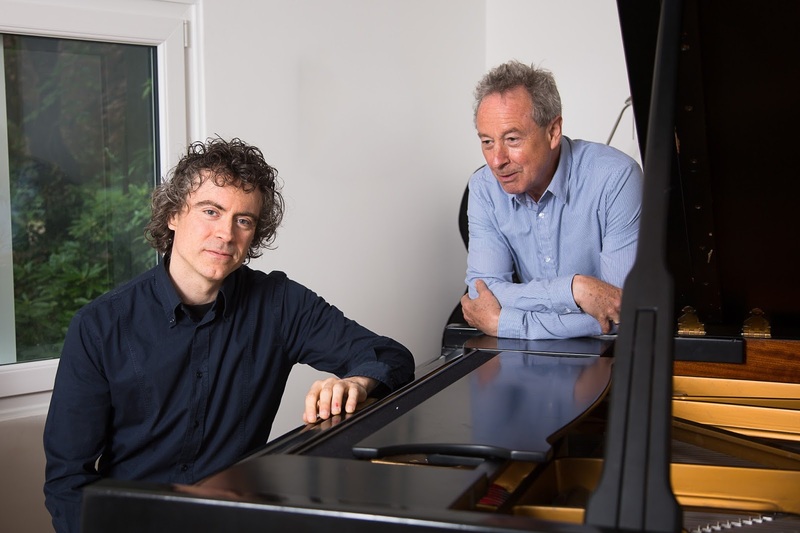 As a young pianist, Paul Lewis admitted that competitions had not filled him with joy, that they were something he had to tough out. So he and Gatehouse wanted to redefine what the competition was. They were concerned that the competition be not just about winning, that they could find and nurture all interesting musicians. Also they wanted the competition to be more accessible and outward facing, making it welcoming and enjoyable, and they would be embracing a greater use of digital technology. But of course, a competition is still about winning, and they wanted to make the prize meaningful for the performers, as well as having an international jury. These are all laudable aims, but what was impressive was the way the artistic team has developed the specifics. The first rounds are being taken out of Leeds, and will take place in Berlin, New York and Singapore in April 2018 with the main competition in Leeds in September of that year. This means that the first rounds will be in the areas of the world where most of the competitors come from, and the move will hopefully also bring audiences from these areas to Leeds for the main competition rounds. 60 competitors in the first round will be whittled down to 24 who come to Leeds and 5 in the final, concerto round. There will also be a 2018 Leeds Piano Festival, in Leeds and at the Wigmore Hall, involving previous winners of the festival. There are plans to stream all the rounds free, thanks to a partnership with Medici TV, and Lewis pointed out that when Medici streamed the 2015 Tchaikovsky Competition there were 10 million hits, with 2 million unique users across 190 countries, a far larger audience than anything Leeds has had so far. And to extend this on-line presence, there will be an on-line audience prize. The BBC will continue partnering the festival and will be broadcasting the finals and semi-finals. Other partnerships have meant that the prizes have been developed to make them more meaningful for the performers, and not just a financial inducement. Askonas Holt will take on the management of one of the prize winners, Radio 3 will be offering a concert and recordings to the winner, and the Royal Liverpool Philharmonic Orchestra will offer a concerto performance to the winner after the finals in the concert which opens the orchestra's 2017/18 season conducted by Vassily Petrenko. The Halle Orchestra, which will be playing for the finals, will also be offering concerto appearances for the winners. Partnerships with the Wigmore Hall and the Southbank Centre mean that there will be further recital opportunities for the winners. And Champs Hill Records will be offering a debut CD for the winner. To make the competition experience sympathetic for the participants they will be housed, fed, watered and cherished together on the Leeds University campus, with an array of fine pianos to play on provided in the homes of volunteers. The winners will be mentored by Paul Lewis and others, and there will be master-classes, talks and films in the mornings. Musicians who do not get through the rounds will stay to participate in the master-classes and in the expanded education programme. Participants will be expected to plan two recital programmes as well as contributing 500 words on their programming, and the competition will also be introducing a chamber music round. The jury, chaired by Paul Lewis, will be performer led and in 2018 it will include Imogen Cooper, Lars Vogt, and Simon Trpceski. 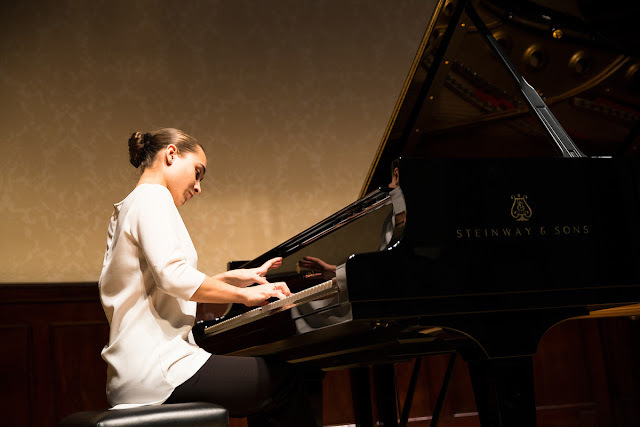 The event finished with the short but stunning performance by Anna Tsybuleva who played Scarlatti's Sonata Pastorale and Saint-Saens' Etude en forme de Valse.